I thought I’d put together a bunch of high quality, exam difficulty questions and answers to help you prepare for your AWS Practitioner exam. Let’s dive in. In my recent post “I Passed the AWS Practitioner Exam” I gave a series of tips and tricks on how best to plan your exam day and what’s it like once you’re in the test centre under exam conditions. 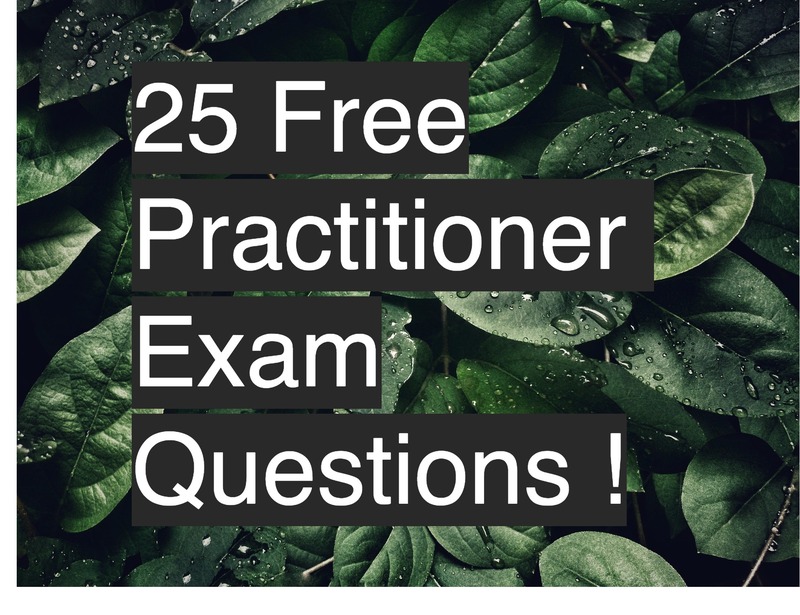 Not content with just telling you what it’s like taking the exam, I thought I’d put together 25 exam quality and completely FREE questions and answers that are representative of what you’ll face in the exam itself. Feel free to use them as a study aid and to gauge your readiness for taking the exam. I’ve also broken down how the questions are structured so you can be better prepared come exam day. Spend some time and read the whole article. Trust me, it will help a lot. How are the practitioner exam questions formatted? Before we start diving into a gazillion mock exam questions, it’s worth taking a few minutes to quickly see how the exam questions themselves are structured. Having this knowledge and going through a process of elimination won me at least a few points where I may have lost out if I hadn’t of known how to read the exam questions effectively. Single or Multiple answer questions? Questions are almost always either a single answer or multiple answer (usually 2) based. When you are presented with a single answer question, the answers will be in radio selections. Which means you can’t give more than one answer. answer questions, typically you’ll have 5 options to choose from rather than the 4 that you get with single choice answers. I might be stating the obvious here, but going through a process of elimination when answering a question can REALLY help you out here. The benefit of mastering this technique is that it can be applied to all multiple-choice exams! Is this DEFINTELY the correct answer? – if yes, GREAT! Tick it and move on to reading the second answer. Wait? Continue reading? But I’m sure its definitely the answer. My response is that may be true, but it doesn’t hurt reading the remainder of the answers. If you’re still confident it’s the correct answer move onto the next question. Happy Days. Is this POSSIBLY the correct answer? – if yes, then add it to your pile of potential answers and move onto the next question. Is this NOT the correct answer? – if yes then now we’ve eliminated 1 of our potential answers. If you had 4 to begin with then you’ve reduced the number of possible correct answers by a quarter. Repeat this process until you’ve done all the questions and hopefully you’ve either answered the question and can move on. Or you’re left with a much smaller pool of potential answers. Dramatically improving your odds of getting the answer right. That’s enough of me babbling on about exam techniques, now lets get into what you clicked on the link for in the first place. Mock Exam questions! OK, enough of all that. Now for 25 mock exam questions! 1. Which AWS services can host virtual servers? Amazon Elastic Compute Cloud forms a central part of Amazons cloud-computing platform, Amazon Web Services, by allowing users to rent virtual computers on which to run their own computer applications. Checkout https://aws.amazon.com/ec2/ for more information on EC2. A: is wrong because AWS CloudWatch is used for monitoring and managing virtual servers. B: is wrong because S3 (Simple Storage Service) is used to store files. C: is wrong because EBS (Elastic Block Storage) is used for block storage. N.b. EBS is often used to host a virtual server. D: is correct because EC2 (Elastic Cloud Compute) is used to run virtual machines. 2. Your company has given you the brief of designing system with various interconnected microservices. Which AWS product would you use to promote loose coupling between them? A: is wrong because AWS IAM is used for user management and role access. B: is correct because S3 (Simple Queue Service) is used to send messages between discrete components. C: is wrong because Bean Stalk is used for developers to host programs with minimal setup. D: is wrong because CloudTrail is used for auditing, compliance and governance of your AWS count. 3. Which service would potentially improve the upload speed for files pushed to S3 over the internet? Amazon Transfer Accelerator allows users to upload files to edge locations geographically close to their location. Those same files are then sent to the destination S3 bucket over Amazons highspeed link. 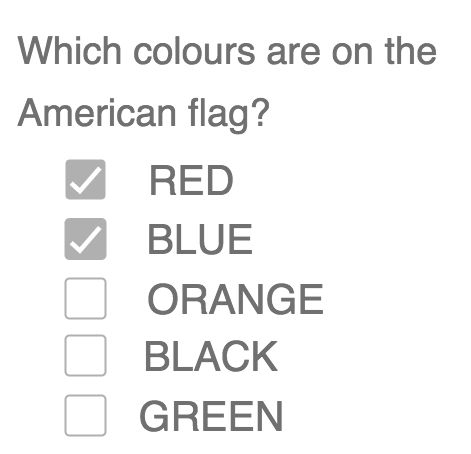 A: is correct, see the above answer. C: is wrong because snowball is used to send files to S3 offline. D: is wrong because EBS is used to store databases and operating systems. 4. What service would you use if I wanted to host a relational database on AWS but let Amazon manage the operating system? Amazon RDS (Relational Database Service) is a service Amazon provides to host and manage relational databases. They support many of the popular database choices including Oracle, MySQL, MSSQL and Aurora. This service manages the underlying hardware and the operating systems for the DBs. A: is correct because AWS RDS is an Amazon hosted database provider. B: is wrong because EC2 (Elastic Cloud Compute) is used to run virtual machines. C: is wrong because RedShift is used as a data warehouse for analytics. D: is wrong because DynamoDB is a NoSQL database solution. 5. If you wanted to archive data for the long term and don’t need to access it frequently which of these services would you use? Amazon Glacier is a storage solution for archiving data that doesn’t require frequent access. The costs for storing data on Glacier are very low, making it a suitable solution for long term data archival. Retrieval of data can take several hours. A: is wrong because DynamoDB is a NoSQL database solution. B: is wrong because EBS (Elastic Block Storage) is used for block storage. N.b. EBS is often used to host a virtual server. C: is correct AWS Glacier is suitable for long term data archival with slow access times. D: is wrong, this is tricky because S3 Infrequently Accessed is a good solution for storing data at low cost, however when required the data can be accessed rapidly using this service. 6. What is the shared responsibility modal in relation to AWS and its users? AWS and their clients share the responsibility between them. The shared responsibility model states that the stack ownership is split between AWS and their customers. While AWS is responsible for the global infrastructure, compute, storage and networking. The customers are responsible for data protection, encryption, platforms and identity access. For more information visit What is the Shared responsibility model? C: is the correct surmised definition of the shared responsibility model. D: is wrong because the customer is expected to maintain this. 7. Your company wants to host some servers for a short continual period of 4 months, which instance type would be most appropriate for this? There are different plans available when using Elastic Cloud Compute. Depending on how often and how frequent you require your hosts compute resource to be you can choose an appropriate plan. Checkout the pricing definition for more info. On Demand instance in this case is the most appropriate. A: is correct because of the short amount of time the instance is required for. D: is wrong again because it’s for plans between 1 – 3 years. 8. What service would you use if I wanted to host a relational database on AWS but control as much of the DB’s hosting as possible? A: is wrong because AWS RDS is an Amazon hosted database provider. B: is correct because EC2 (Elastic Cloud Compute) can host a Virtual Machine which the client can install a database server on. 9. If you wanted to further secure your login process beyond username and password what would you use? MFA (Multi Factor Authentication) allows for there to be secondary step when authenticating a user’s credentials. Currently one solution available to amazon customers is to provide a secondary randomly generated unique access key every time they log in. B: is correct because of the answer paragraph above. D: is wrong because this service does not exist. 10. If you wanted to share video on demand with users across the world, what service would be appropriate to stream that content? CloudFront is a service that distributes your content around the AWS networks edge locations. This facilitates lower latency when delivering that content to customers. B: is wrong because this service is a cloud functions solution. 11. Let’s say you have 2 AWS accounts, 1 for production and 1 for development. How would you view the billing for both these accounts as one single bill? Consolidated billing is part of Amazon Organisations. It allows users to pay in a single invoice for multiple accounts. B: is correct because this is a feature of Amazon Organisations. 12. Which service is well suited for developers wishing to deploy their Java, .Net, Docker, Python & Node.js code to the cloud with minimal setup time? AWS Elastic Bean Stalk lets developers quickly deploy their code to the cloud with minimal fuss. This solution is designed to scale as demand grows. B: is wrong because EC2 (Elastic Cloud Compute) can host a Virtual Machine which the client can install a database server on. C: is correct Bean Stalk takes out much of the configuration required to deploy an application. 13. Your company wants to deploy a photo sharing application; what service is best suited for storing static content such as photos? AWS S3 is ideally suited for storing photos and other static content. Storage costs are low and the content can be accessed on mass with scalability. The content also has high resilience since it is replicated across 3 separate data centres. 14. Using Elastic cloud compute, which service will let you launch a preconfigured instance for a specific use case? Amazon Machine Images are preconfigured EC2 instances. They provide various solutions via the AMI Market place. For instance, a WordPress AMI is available to shorten the time it takes to deploy a WordPress instance. B: is wrong because EBS volumes are used to run operating systems and databases. D: is wrong because S3 is a static file storage solution. 15. 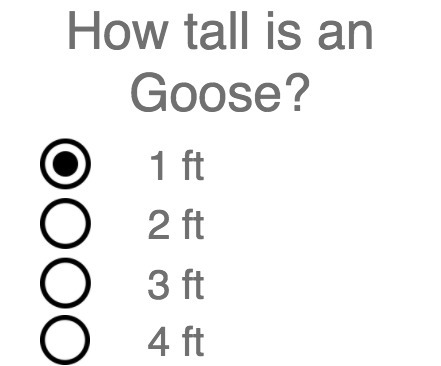 Which of the answers below refer to a different geographic location? AWS is split up into multiple geographic regions. They are called Regions. EU West 2 for instance is a region located in Europe. B: is wrong because data centres can be located next to one another. 16. What AWS service could you use to help prevent DOS attacks on your production system? AWS Shield is a service specifically designed to protect against denial of service attacks DOS. It is used in collaboration with Route53 and CloudFront to mitigate DOS attacks. D: is wrong because cloud trail tracks API usage. 17. If you wanted to save time when deploying a complex set of services and make the process of deploying those services repeatable? Cloud Formation lets architects and system administrators programmatically create and provision AWS services. They can be torn down and rebuilt simply by running the script. B: is wrong Bean Stalk takes out much of the configuration required to deploy an application. C: is wrong because EC2 (Elastic Cloud Compute) can host a Virtual Machine which the client can install a database server on. 18. Let’s say your company wants to run a NoSQL database with as little maintenance as possible? A: is wrong because RDS (relational database service) is for Relational databases only. C: is wrong because EC2 (Elastic Cloud Compute) can host a Virtual Machine which the client can install a database server on. However, the client would have to maintain the VM. D: is wrong because S3 is a file storage solution. 19. What product would you use to elegantly scale resources based on the demand at any one time? Auto Scaling lets you define when and how a service should increase load based on various conditions. Such as CPU load or Ram usage. A: is wrong this service is unrelated to scaling. C: is wrong because EC2 (Elastic Cloud Compute) hosts Virtual Machines. D: ELB distributes traffic among your nodes, however it does not scale the resources themselves. 20. In the shared responsibility model, which responsibilities fall into the customers domain? choose 2 answers. In the shared responsibility model, the customer is in charge of the IAM credentials i.e. defining user roles and creating user profiles. In addition to encrypting data on their own hardware before uploading it to AWS. C: is wrong because AWS managed encryption keys are handled by AWS. D: is wrong because Edge locations are an AWS service managed by AWS. E: is wrong because the customer is not responsible for managing AWS hardware. 21. What service would you use to register and configure domain names DNS (Domain Name Service)? Route53 is Amazons domain name registration and configuration service. From this service you can purchase domains directly from amazon and then configure them for services i.e. website front ends, API or email servers. D: is wrong because Light Sail is used for launching preconfigured services with little to no setup. 22. Which statement is true about the general pricing policy for AWS services? There are usually no upfront charges and you pay only for what you use. Prices for services are uniform regardless of the Region you use them in. Amazon will only charge you for the services that you use and will require no upfront payments. This makes budgeting for your usage more manageable and fairer. B: is wrong because it contradicts the correct answer. C: is wrong because you pay monthly and only for what resources you have used. D: is wrong because prices change depending on the region and the service. 23. What AWS service is compliant with MySQL? AWS Aurora is a MySQL compliant relational database that is according to Amazon 5 times faster than MySQL. For more information see: AWS Aurora FAQ. B: is correct, see the paragraph above. C: is wrong because AWS RDS is an Amazon hosted database provider. D: is wrong because EC2 (Elastic Cloud Compute) hosts Virtual Machines. 24. What AWS service allows you to run functions without the need to host them on a virtual machine? A: is correct, see the paragraph above. B: is wrong because DynamoDB is a NoSQL database solution. C: is wrong because AWS RedShift is a data warehousing solution. 25. What AWS service could you use to form a permanent link between your on premise data centre and AWS that isn’t dependant on the internet? AWS Direct Connect forms a physical link between your on-premise servers and AWS itself. For more information checkout the AWS Direct Connect FAQ. A: is wrong, because Snow Ball is used for transferring files off line without a direct connection. B: is wrong because NATs will not solve this issue. C: is wrong because AWS VPC requires an internet connection. D: is correct, see the paragraph above. I’ve got a couple more articles that might help you when you take the exam. Checkout I Passed the AWS Practitioner exam and also checkout Everything you need to know about the Practitioner exam. If you need any help or if you found the mock questions I came up with helpful it would be great to hear your comments below.